Depending on your perspective, the day after Christmas can be a huge comedown or a welcome relief. However, we can all agree on the appeal of an online bargain or two, and Boxing Day is a good a time as any to buy some new tech at a knockdown price. The beauty is that you can start benefiting from these price reductions without having to venture out into the wintry cold and sit in traffic for much longer than is really necessary - all you need is a computer, an internet connection and our collection of handy pointers. Earlier than you might think: Amazon's Boxing Day deals week, for example, starts at 4pm on Christmas Eve (!) so as soon as you've polished off the Christmas turkey (or even before) you can indulge in some online bargain hunting. 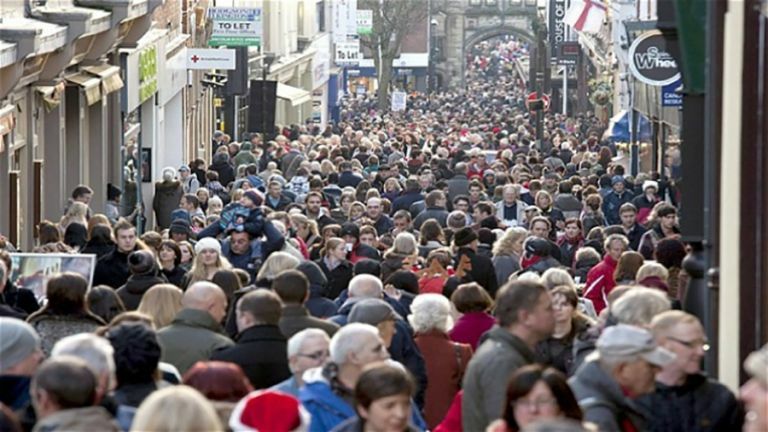 Retailers are going to be eager to shift all the stock they couldn't get rid of before Christmas, so there's not much point in them waiting very long after the last post deadline on Christmas Eve before flicking the switch. Argos is another retailer bringing Boxing Day forward to Christmas Eve - in our modern online era there's no need to actually wait until 26 December, although many retailers will still follow this practice. In summary, you don't have to keep clicking your browser's refresh button around midnight on Christmas Day - a lot of clearance sales are going to begin in the afternoon on the 25th or even earlier than that. How long will these deals last? It goes without saying that the earlier you start shopping the more chance you have of picking up the best deals: in some cases stock might be pretty limited and you'll have to act fast to grab those bargains. At the same time that doesn't mean you should abandon hope of getting some discounts if you're stuck playing charades all day on the 26th. As we've already mentioned, a lot of retailers are extending 'Boxing Day' for a week or more. The old rules of brick and mortar stores no longer apply and a number of retailers will be rolling a Boxing Day bargain extravaganza into the January sales without so much as a pause for breath, which is good news for shoppers. Of course when it comes to online retail, changing prices involves a couple of mouse clicks or an automatic computer algorithm: keep on checking your favourite sites as deals are likely to vary on Boxing Day and beyond. There's no particular secret when it comes to finding the best tech deals online on Boxing Day. The front pages of your favourite retailers are likely to be crammed with discounts vying for your attention. Official Facebook and Twitter accounts for these retailers are good places to check if you want more inspiration, as are email newsletters - a lot of stores will put their best offers in these places first. It's still worth diving deep into each of your chosen sites to look for items you're interested in - there's only so much space on the front page of a website and it's unlikely that every single Boxing Day offer has been featured. And don't forget auction site eBay in the post-Christmas rush for discounts: a lot of people are going to be eager to shift unwanted gadgets and older hardware after unwrapping their presents on Christmas Day. How can I find the best prices? No matter how tempting a particular offer looks, it's always worth taking a few minutes to compare prices across multiple sites before clicking that buy button (your browser's bookmark tool can help here). There are likely to be plenty of discount codes floating around the web as well. You can find these on the websites themselves, in social media updates or via third-party sources such as MoneySavingExpert and MoneySupermarket. Price comparison sites are an obvious port of call if you want to make sure you really are getting the cheapest price available. Take a look at the likes of PriceRunner, Idealo and indeed the shopping tab on your search engine of choice. You can sometimes find price trackers for individual sites as well - for example, CamelCamelCamel does a fine job of tracking prices on Amazon so you can keep tabs on the fluctuations as they happen. Don't forget the January sales are only a week away - it's impossible to predict what each retailer will do with the price of each item but it's worth bearing in mind that bigger discounts might be on the way. And there's nothing wrong with heading to the high street if you can face it. Apps like the ones offered by Idealo (Android, iOS) let you scan barcodes on physical goods to compare prices online (just try not to attract the attention of the shop staff). Be wary of diving in on deals that look a little bit too good to be true: double-check specs, prices and product history pages (where available) to make sure which year's smartphone you're actually about to buy. If you need some more assistance, we'll be rounding up all of the best tech deals as they hit the web on Boxing Day and beyond, so adjust your bookmarks accordingly. Now you've got your bargain, read our guide to tech etiquette for 2016.